But the happiest place is Australia…must be all the Irish immigrants. IT IS NO wonder young Irish people are emigrating en masse to Australia when according to the latest Better Life Index it is the happiest country in the world to live in. While still gripped in recession and living under the constant threat of austerity budgets, Ireland only manges to rank 15th on a list compiled by the Organisation for Economic Cooperation and Development (OECD). It was previously reported that more than 7,000 Irish people have sought Australian citizenship in the last six years and with emigration figures rising the figure is likely to increase in the coming years. The OECD findings show 30.3 per cent of Irish people aged 15-24 face difficulties with employment – a figure almost double the international average of 16.2 per cent. 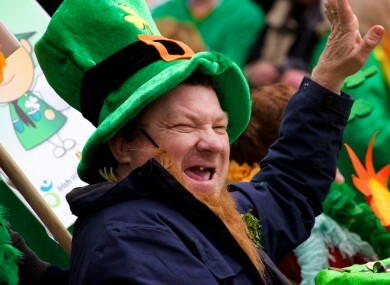 But it is not all doom and gloom, in fact, the OECD’s report suggests 84 per cent of Irish people have more positive than negative experiences during an average day. According to the survey, the average annual disposal income is around €18,700 in Ireland which is more than a €1,000 above the international average. However, the organisation found there was “considerable gap between the richest and the poorest” in Irish society. The report found the top 20 per cent of the population earns five times more than the bottom 20 per cent. Irish people work 233 less hours annually than the OECD average and only four per cent of the population work very long hours. Five per cent more women have finished second level education than men, while females outperform males when it comes to reading literacy, maths and science. The average life expectancy in Ireland is 81-years-old with women living to 83 and men living to 78. The OECD also found “there is a strong sense of community and moderate levels of civic participation in Ireland” with 96 per cent of people believing the they know someone they could rely on in time of need. Email “Ireland is the 15th happiest place in the world to live”. Feedback on “Ireland is the 15th happiest place in the world to live”.